Mumbai, April 7 (IANS) He has romanced several actresses on screen, and the "serial kisser" tag doesn't seem to leave him. But Emraan Hashmi, who now shares screen space with three heroines in "Ek Thi Daayan", says he is at peace in his personal life because his wife is not insecure about their relationship. "My wife never gets insecure. After 30 films, every film has something or the other. She has her head over her shoulders, otherwise she would have left me a long time ago. She has a very mature way of looking at things," Emraan told IANS in an interview. Emraan married Parveen Shahani in 2006. They have a son named Ayaan. In his decade-long career, the actor has locked lips in films like "Murder", "Zeher", "Aksar", "Gangster - A Love Story", "Crook", "The Dirty Picture" and "Raaz 3". But he believes intimacy on screen was a big thing only in his initial few years. It isn't any longer, he said. "I guess that ('serial kisser') is just a saleable term for films and the media. For me, it has been important to play different characters and films. People focussed on the intimacy on screen, which I found very funny. I continued to do bold characters and everyone is doing it now; so now people can digest it. That was not the case with my films," he said. Having done different films like "Shangai", "Once Upon a Time in Mumbaai", "Dil Toh Baccha Hai Ji" and "The Dirty Picture", Emraan said it is gratifying to receive interesting scripts, which have a certain scope of risk. And that's coincidentally what he wants! "They are coming to me now. I am getting scripts which I always wanted to do. They are interesting scripts and ideas with great characters. I always wanted to do films which were risky," he said. "There is a change in cinema and I like to be a part of that change. I like to take up films which are new, conceptually and visually," he added. In his filmography, Emraan has a good mix of films which have pleased either the audiences or the critics and some which have appealed to both. 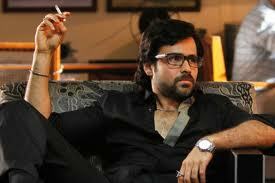 However, Emraan is clear that he would prefer box-office numbers rather than critical acclaim. "I have had films which have been panned by the critics, which have done well. Certain films need to be critically acclaimed and you make those for the critics, like 'Shanghai'. But there are some films which don't go down well with the critics. You can't please everyone. If there is an option, I will go for the box office," he said. That's what he hopes for with his new film "Ek Thi Daayan", in which he plays a magician, and stars alongside acclaimed actresses like Kalki Koechlin, Konkona Sen Sharma and Huma Qureshi. Directed by Kannan Iyer and co-produced by Ekta Kapoor and Vishal Bhardwaj, the movie releases April 19.